As my 60th year comes to an end, I thought it was appropriate to share highlights from my special visit with Santa and his reindeers. In the fall, I wrote a blog post about packing for my trip. I really did go in search of the Northern Lights. 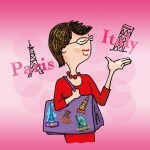 Yes, yes, yes, my “time to be merry” happened in October, thanks to the nice team at Collette Travel. 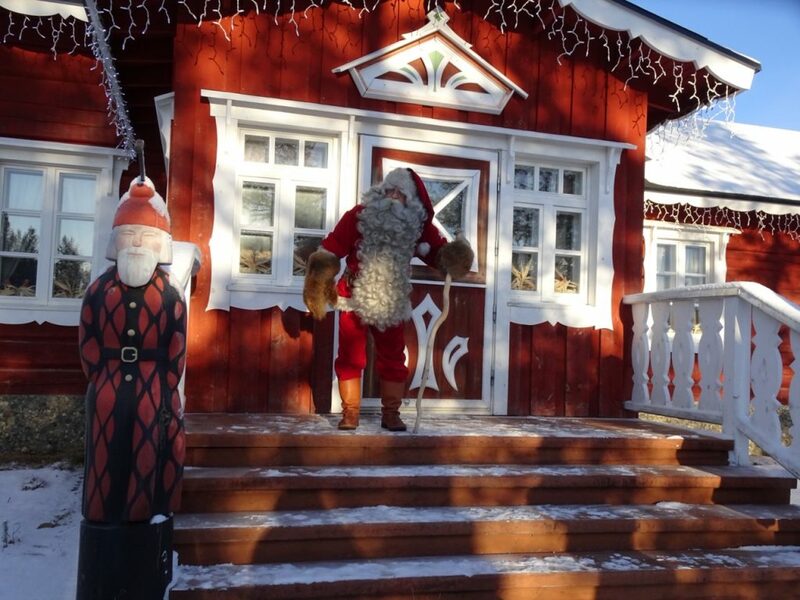 * My holiday present came early with a complimentary trip to Lapland on their “Northern Lights of Finland Tour.” There’s much to share from this Explorations itinerary (more to come in 2019) but for now Santa is my main man, along with his elves and reindeers. 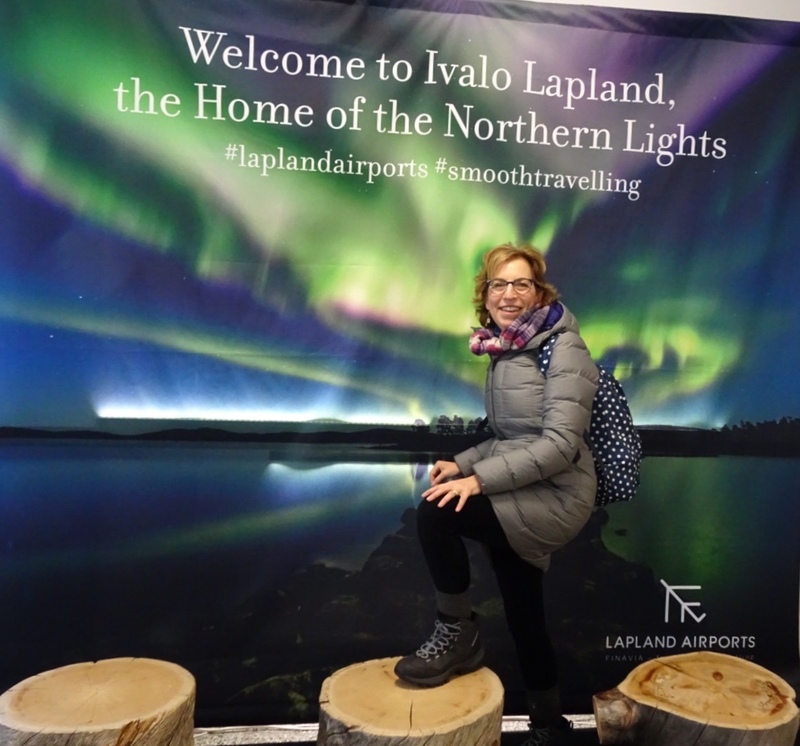 I went to Lapland on a Northern Lights of Finland Tour. Everyone I talk to about this trip asks the same question. Where is Lapland? So before I tell you about my visit with Santa, let’s start with a little geography lesson. According to Encyclopedia Britannica, Lapland is a region of northern Europe largely within the Arctic Circle, stretching across northern Norway, Sweden, and Finland and into part of Russia. Lapland is the name for the region and is derived from Lapp, the name Scandinavians ascribed to the Sami people, who have inhabited the region for several thousand years. Lapland is located within the Arctic Circle. How far did I travel to see Santa? I traveled really far to see Santa. From Philadelphia to Helsinki and then 30 minutes north to the Ivalo Airport in the Finnish part of Lapland. 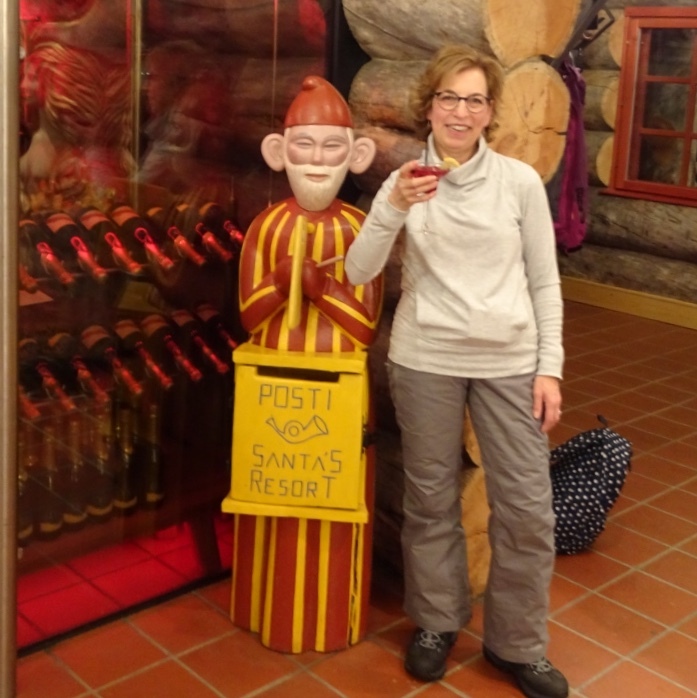 From there our group took a bus to the Kakslauttanen Arctic Resort, where Santa lives part of the time. 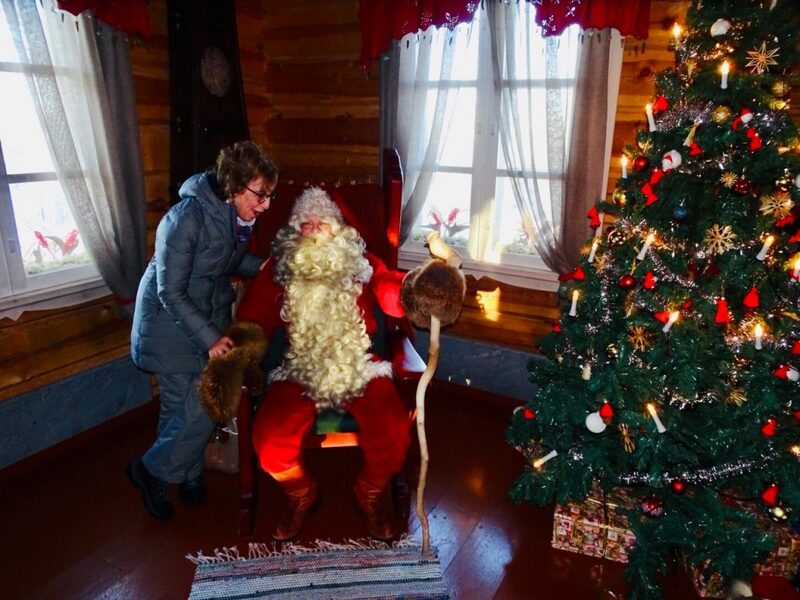 Thankfully, St. Nick was there during our stay as he has another home further north in Lapland’s capital city of Rovaniemi, on the edge of the Arctic Circle. My cabin in the Kakslauttanen Arctic Resort was very cozy. 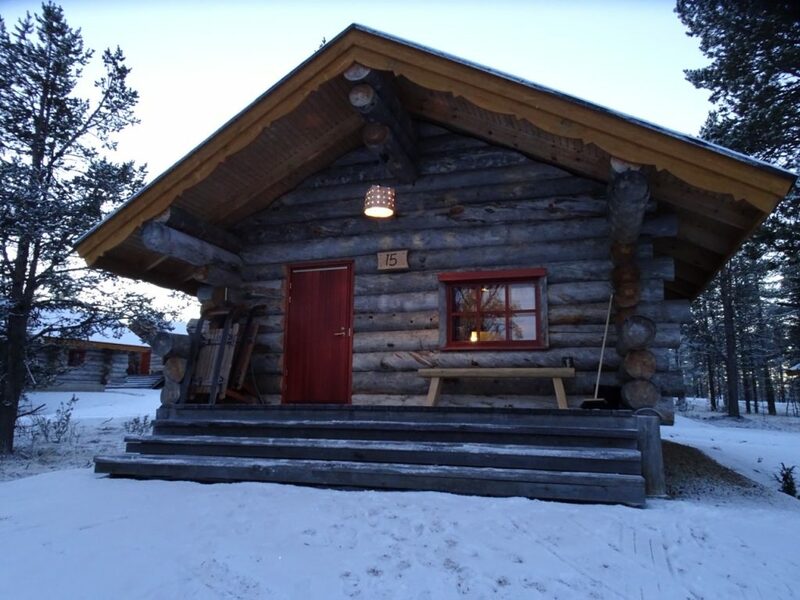 Ooh, ooh, ooh, if you decide to go to see Santa and his reindeers with Collette Travel, which is so worth it, you’ll get to stay in one of the comfy Kakslauttanen log chalets. I had one all to myself, but they can accommodate up to four people. Ooh, ooh, ooh, and you’ll stay in a glass igloo too, which is super cool. Don’t worry the igloo is heated! 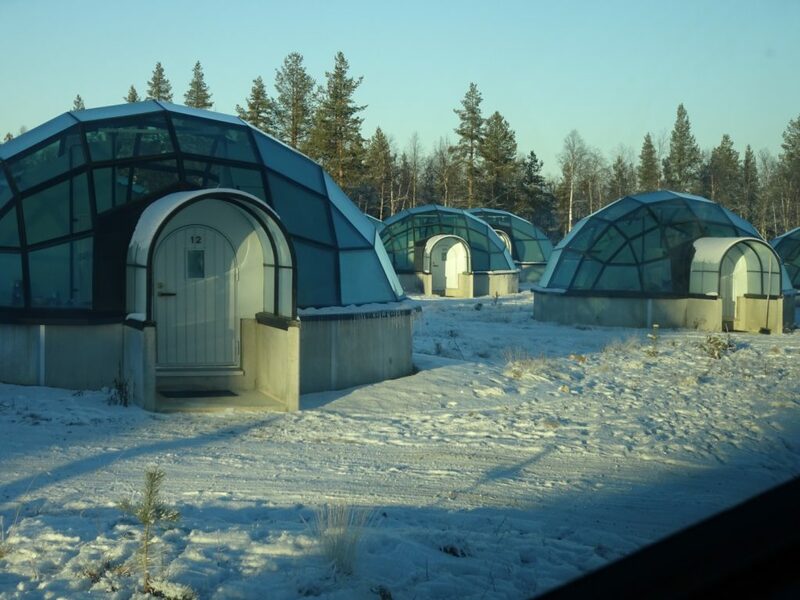 I also stayed in a glass igloo. “We’re going to see Santa and his elves this morning,” said our tour leader Chad. The sun was shining bright and the snow was glistening. I dressed warm for my walk to Santa with hat, mittens, snow pants and down jacket — I was ready to brave the cold. Aurora is one of Santa’s elves. It felt like we were in a storybook, Christmas movie, or fairytale. Off we went, step by step to Santa’s house. We passed Santa’s workshop where Aurora instructed us to touch the gold frame. “Put both hands on gold and make a wish,” said Aurora. I did as she said, I love making wishes. Hope my wish comes true in 2019. 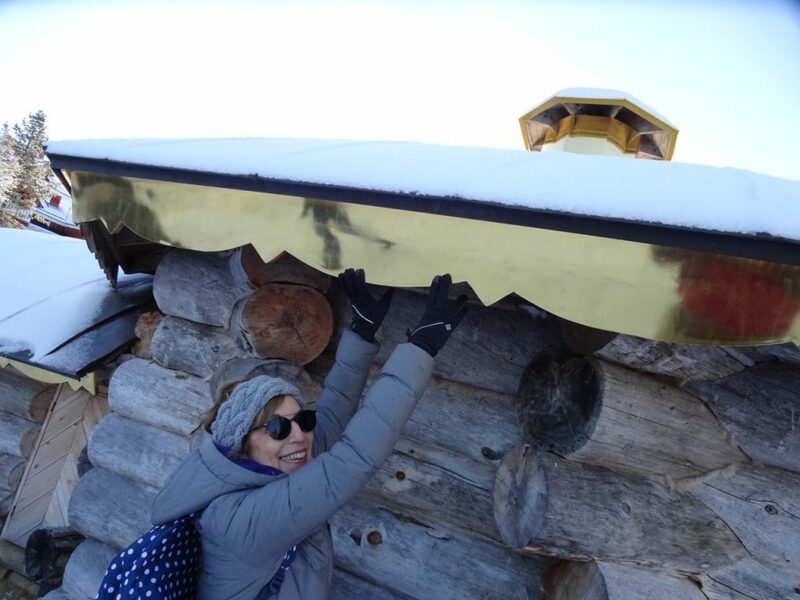 I touched the gold trim on Santa’s workshop and made a wish. We hiked up the hill, over the river and through the woods to Santa’s house. 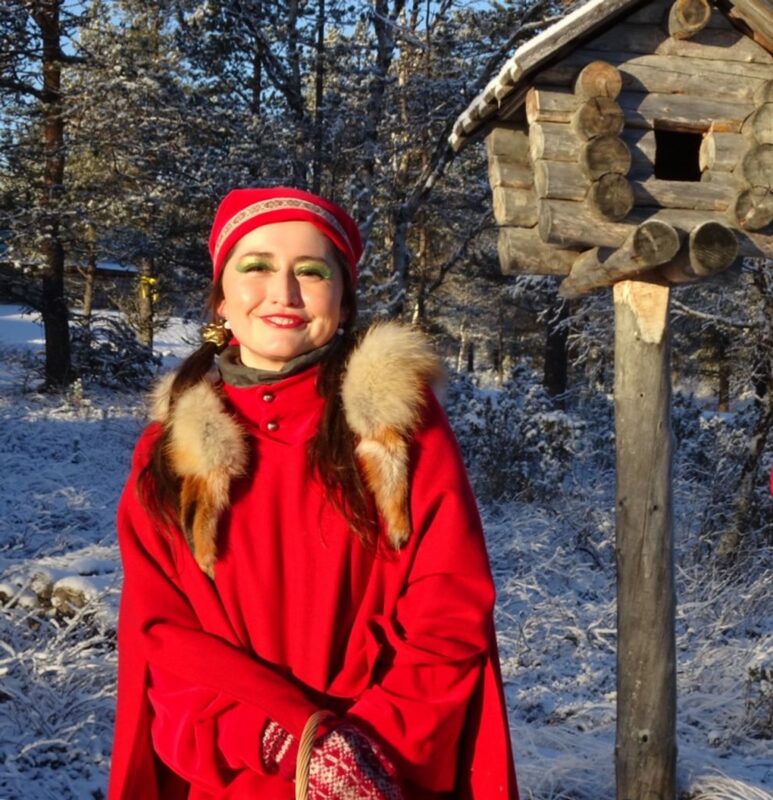 “It’s a magical place here in Lapland,” said Aurora. “Let’s make another wish.” This time it was a magical wish. She gave us each a ball of snow and told us to make a wish and then throw the snow up in the air. I made a magical wish and sprinkled snow in the air. Hope my magical wish comes true in 2019. 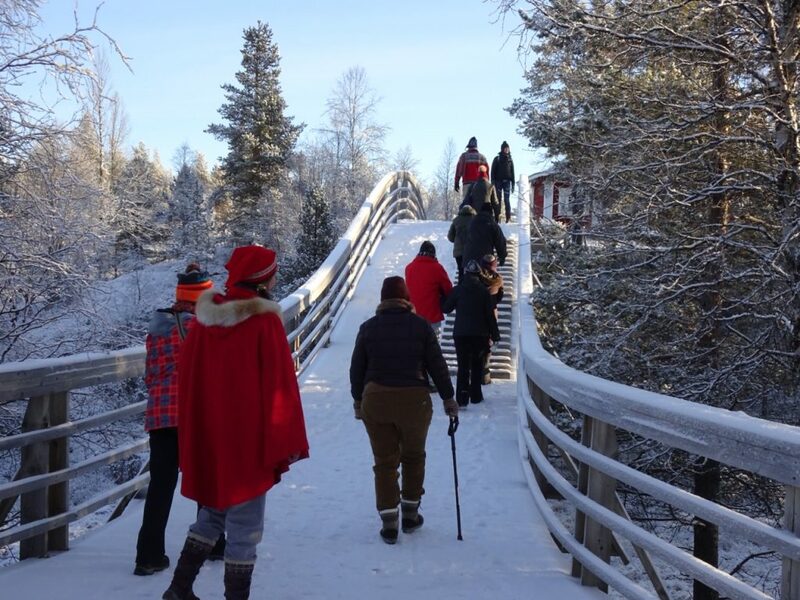 We hiked over the bridge to Santa’s house. We arrived at Santa’s house. “Ho, ho, ho,” said Santa. He was just like I had imagined, tall, in a red suit, with a long white beard and big belly. He greeted us in English when we told him we were all from the United States. Then he welcomed us into his house to take pictures. Ho, ho, ho! Santa welcomed us to his home. When it was my turn, I told Santa one of my reader’s wishes, including a wish for world peace, and my daughter A’s wish for a new boyfriend. I hope these wishes come true in 2019. I told my wishes to Santa. 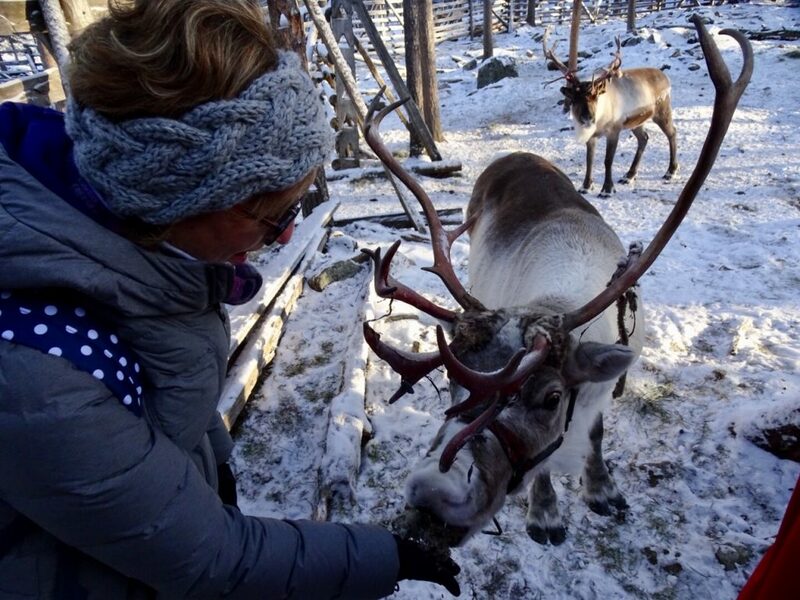 It was fun to feed the reindeer. 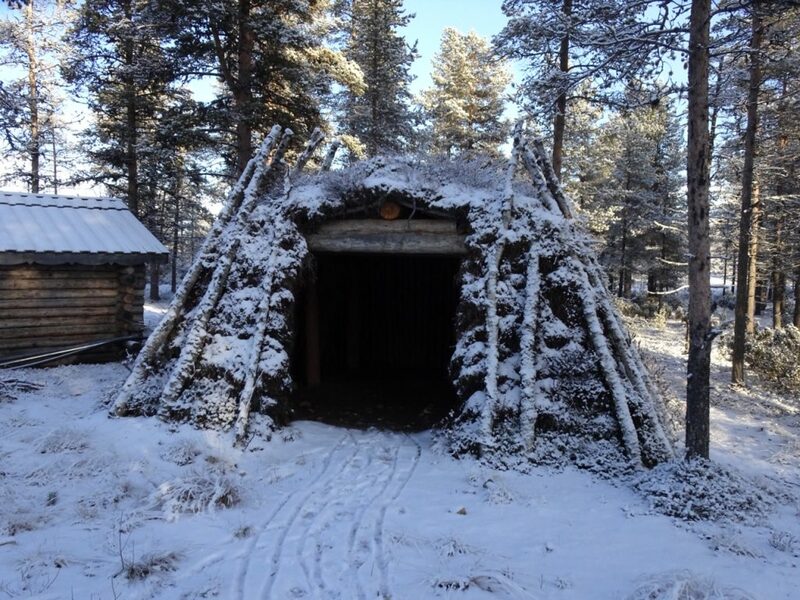 The reindeer stay in huts during the summer. Indeed it had been a magical morning visiting Santa and his reindeer. I hope he brings world peace and a boyfriend for my daughter A. I hope he visits your house next week too and brings all the presents you wish for and honors your wishes for 2019. Be sure to leave cookies. And if you have any, some warm blueberry juice — it’s a Finnish tradition. What’s that, you can’t get to Finland to get the blueberry juice. It’s okay, just leave him some cranberry juice, I’m sure he’ll drink that too. Even a mug of warm milk will do. 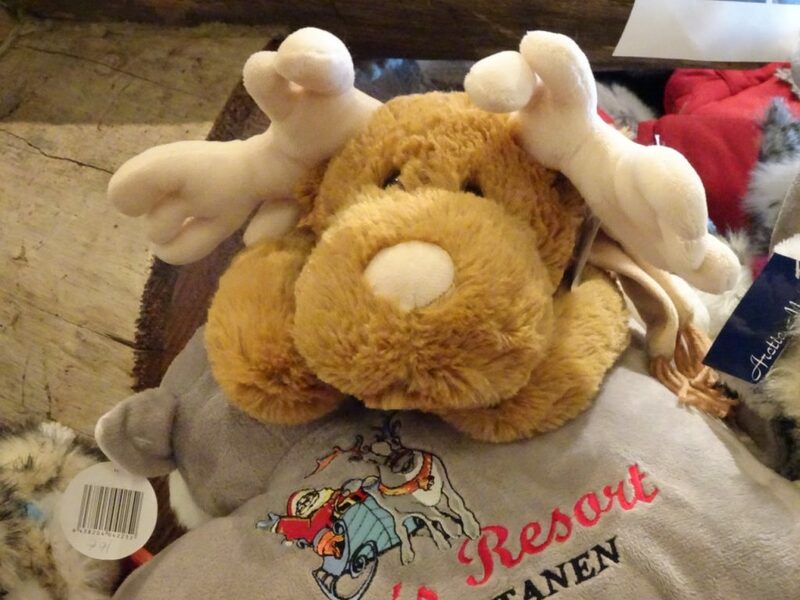 I couldn’t fit a reindeer in my suitcase so I brought back Rudy, a cuddly stuffed animal as a memento. Thank you my dear readers for following my travels this year. From Florida to Quebec, Lyon to Paris, Berlin, Denmark, and Norway, to Helsinki and Lapland – it’s been a year of great adventures. There’s more to come. I’ll be sharing all the details from this trip and others that are already on my calendar for 2019. Did I see the Aurora Borealis in Lapland? Stay tuned to find out. A toast to all my blog readers for a happy and healthy new year. For now, may the rest of 2018 be merry. And may you have a happy and healthy new year! 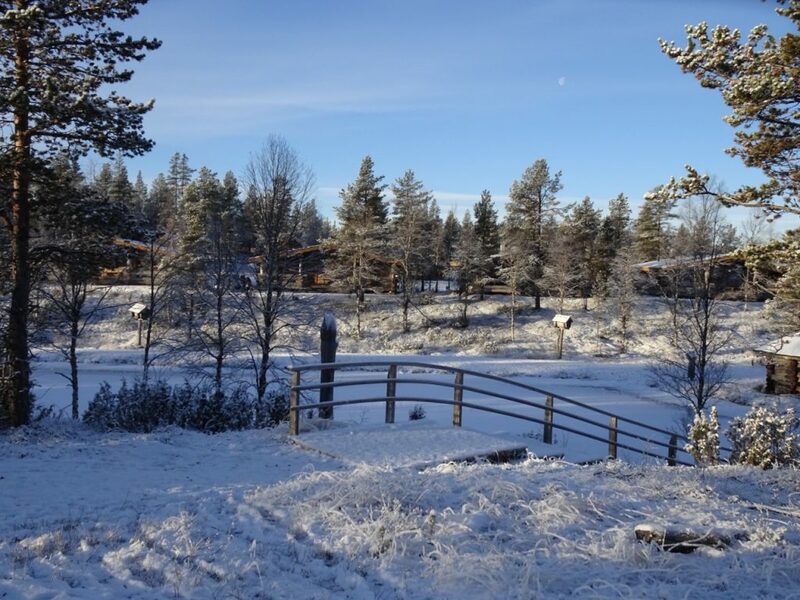 The post It’s Time to Be Merry: Visiting Santa & His Reindeers in Lapland appeared first on A Boomers Life After 50.